From the cutting edge of science and living spirituality: a guide to understanding our identity and purpose in the world. For the outdated mainstream paradigm, the world is a giant mechanism functioning in accordance with known and knowable laws and regularities. The new paradigm emerging in science offers a different concept: The world is an interconnected, coherent whole, and it is informed by a cosmic intelligence. This is not a finite, mechanistic material world. It is a consciousness-infused whole-system world. We are conscious beings who emerge and coevolve as complex, cosmic intelligence-informed vibrations in the Akashic Field of the universe. 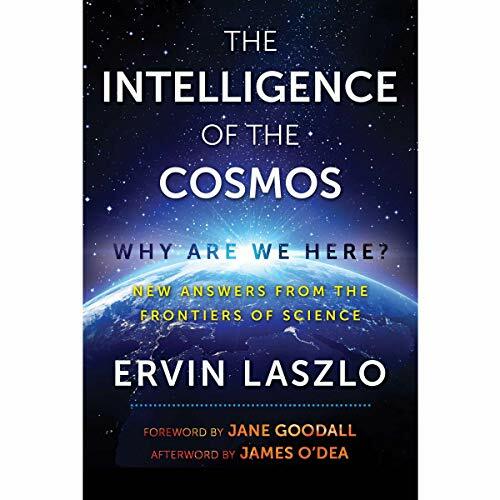 Ervin Laszlo and his collaborators from the forefront of science, cosmology, and spirituality show how the rediscovery of who we are and why we are here integrates seamlessly with the wisdom traditions as well as with the new emerging worldview in the sciences, revealing a way forward for humanity on this planet. They explain how we have reached a point of critical incoherence and tell us that to save ourselves, our environment, and society, we need a critical mass of people to consciously evolve a new thinking. Offering a guidepost to orient this evolution, Laszlo examines the nature of consciousness in the universe, showing how our bodies and minds act as transmitters of consciousness from the intelligence of the cosmos and how understanding science’s new concept of the world enables us to rediscover our identity and our purpose in our world. With bold vision and forward thinking, Laszlo and his contributors Maria Sagi, Kingsley L. Dennis, Emanuel Kuntzelman, Dawna Jones, Shamik Desai, Garry Jacobs, and John R. Audette outline the new idea of the world and of ourselves in the world. They help us discover how we can overcome these divisive times and blossom into a new era of peace, coherence, connection, and global well-being. ©2017 Ervin Laszlo. All Rights Reserved. (P)2019 Inner Traditions Audio. All Rights Reserved. Ah The intelligence of the cosmos. This book sums up the important discoveries in the field of conscious Universe. Read this book and be in love. by the 4th chapter I had too much "conciousness" and "vibrations" and "spirituality"